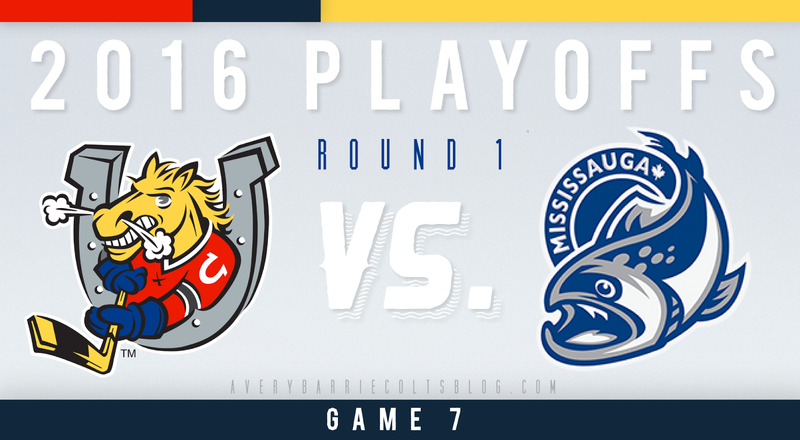 Game Preview: Barrie Colts vs Mississauga Steelheads. (Game 7) #OHL - Very Barrie Colts | A website covering the Barrie Colts of the OHL. Wait, this series is still going on? It seemed that the Trout were expected to be "fished" out early in Round 1 vs the Colts. So how did it get to a game 7? Well, there have been a few contributing factors. For one, Barrie has not been disciplined. You can't be too surprised by this since this is the same team who has been the most penalized teams the last 2 straight seasons. There was also the time Mackenzie Blackwood left with a bruised tail bone. However, they managed to still get a win with him out of the lineup. 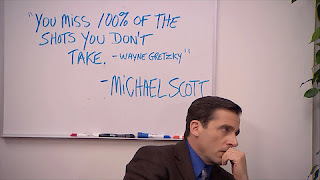 Also, the team has not generated much on the power play. We can list reasons why the Colts have allowed the series to slide like this but it would be overlooking the main reason. Mississauga has played like they have wanted it more. Yeah, Colts could stay out of the box but being short handed hasn't killed them. I mean, they have generated some of their best chances (and scored) down a man. And Blackwood has since returned to the lineup and the team still isn't winning. The Trout have come out to win and they have made this a tough series for the Colts because of solid goaltending and excellent goal production. Nylander has managed to put up 11 points which is incredible. It is more incredible when you remember he missed Game 1 of the series. Muzito-Bagenda has also been a thorn in the side of the Colts all round scoring a total of 6 goals with 3 helpers. He has also been effective at getting under the skin of Colt players. The Colts have played good hockey but they have not been consistent. They have taken some very undisciplined stick infraction penalties and it has hurt them. Yes, it hasn't been the only reason they are in this spot but they need to eliminate all chances they can for the Trout to finish the sweep. The team has allowed 7 goals on 32 penalties. Not a terrible stat there but the Colts have only gone 5 for 25 on the power play this series. With the talent this team has they should be using these opportunities to get pucks at least on goal. Instead there has been a lot of passing. 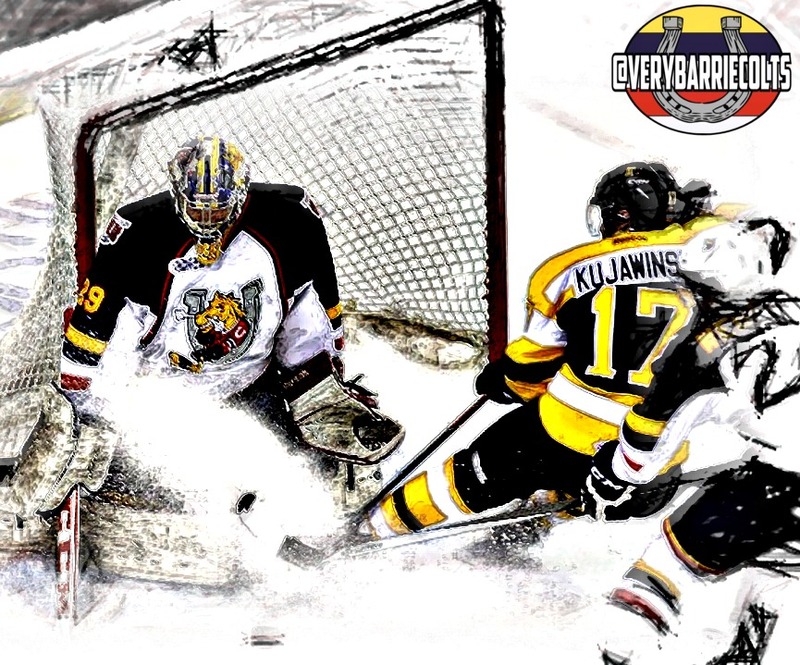 The Colts are averaging 3.33 goals a game compared to Mississauga's 4 a game. There is a Gretzky quote about shots and scoring out there that might apply to this, I am pretty sure of it.. So what do the Colts need to do to win tonight? - Don't be lazy with the puck. There is no need to force a stretch pass when you have 3 Trout between you and the other player. - Webster needs to play with his brain and not his heart, He has really been either fantastic or a tough watch. I think the team really looks up to him and when he gets emotional, the team does. I think if he can can keep his emotions in check and play his game the Colts have this game no problem. -Blackwood needs to play at leas as good as he did when he took over Game 6. Everyone who voted on our poll yesterday went with Blacky and I think that is the right call. He has been our guy all season. Ovs was great. He came in, he got a win and helped us while Blackwood was not 100%. I also felt that even when Blackwood was ready, playing Ovs was still the right idea. Tough to change a goalie who is hot in a series you are struggling to win, right? At the end of the day, Ovs lost his spot at the beginning of game 6 when he allowed 3 goals on 3 shots. They were not all his fault but they were still pretty weak goals. I would be very shocked if Blackwood doesn't get the start tonight. Justin Scott and Mike Webster. As mentioned earlier, Webster as an OA and captain really sets the tone for the team and I think tonight's game will heavily depend on him and Scott who has 7 goals this series. If these two can play their game, guys like Mangiapane and Labanc will also be harder to play against. What do you think about game 7? Who do you think will win? Let us know in the comments! Game 7 is set for 7:30 tonight and is on Sportsnet.